Always park in the shade. If you can help it, it is always a good idea NOT to park under the hot baking sun. Ultraviolet rays will wreak havoc on your leather interior and will lead to premature deterioration. Install car tint. High-quality car tint will help block the harmful UVA and UVB rays of the sun. This will not only protect the beautiful leather interior of your ride, but it will also be favorable to your health by preventing skin cancer. If installing car tint is legal in your state, give it a try. Avoid carrying sharp objects inside your pockets. 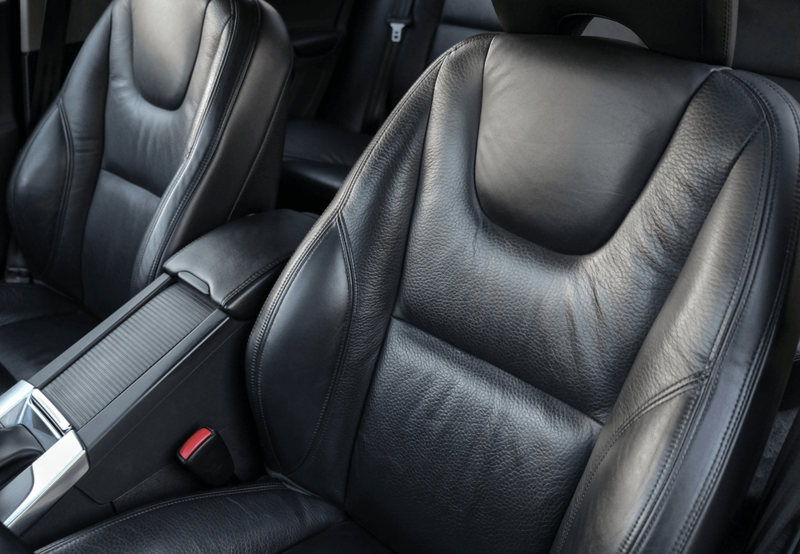 The primary cause of holes, cuts, or tears on leather seats is the intrusion of a sharp object upon sitting in the car. You should also avoid placing tools or pet carriers directly above the seats. Cover the surface with a soft cloth before placing sharp objects or bulky luggage over the leather seats. Clean and condition the seats at least once a month. 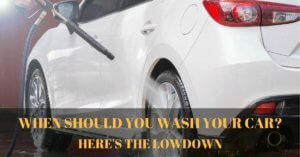 You should take some time to clean the leather seats and apply leather conditioner to protect the seats. 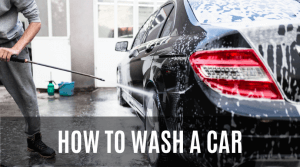 You should do this every time you wash or clean your car. 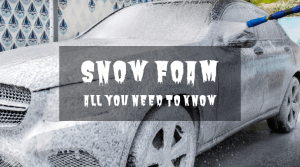 Forget about repair methods that utilize heat. 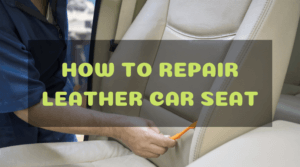 Here are some of the easiest ways to quickly and effectively get rid of holes, cuts, and tears on your leather car seats. 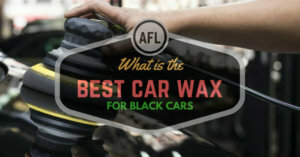 There are a lot of auto leather repair kits in the market. But the best I’ve tried so far is the LeatherPlus Leather and Vinyl Complete Restoration and Repair Kit. This product does not require the application of heat and can be used on leather car seats, shoes, luggage, jackets, and furniture. It even works great on vinyl seats! Here are the easy steps for an easy leather repair. Look closely at the extent of the damage. Is it a small hole caused by cigarette burns? Is it a large tear? Whatever the case, this will help you decide how much backing fabric or filler to use. Grab a Q-tip or cotton swab and clean the damaged area with ethyl rubbing alcohol. This process will remove dirt and oil from the hole or tear and will help the adhesive to cure faster once applied. The LeatherPlus Leather Repair Kit contains a bunch of backing fabrics that you can cut to size. Use a sharp pair of scissors to cut the right amount of backing fabric. Make sure that it is substantial enough to cover the damage. Use the provided plastic spatula to insert the backing fabric under or behind the damaged area. Again, you should ensure that the entire area is covered by the backing fabric. The next step is to apply the adhesive solution over the damaged area. The LeatherPlus Leather Repair Kit will also make it easy to match the color of the adhesive with the color of the seat. This will make your repair look more professional. Simply apply the colored adhesive solution to over the affected area. Make sure that you apply enough adhesive to cover the entire area. At this point, the backing fabric inserted earlier should not be visible since it will be covered by the colored adhesive. 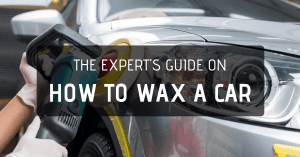 Allow the adhesive to dry for 15 to 20 minutes or more depending on the ambient temperature. 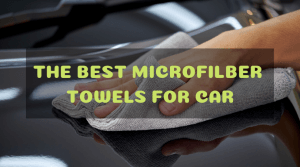 Grab a clean Q-tip or cotton swab. Wet one end of the cotton swab with ethyl rubbing alcohol and use this to lightly rub and blend the dried color adhesive. Take your time in doing this. The better you blend, the better the results. Apply light pressure to somehow even out the edges to cover the damage completely. For the next method, I prefer to use the MastaPlasta Peel and Stick Repair. 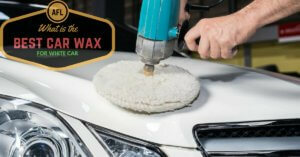 This product is great to cover up holes, rips, or stains on leather car seats, sofas, and bags. I particularly like the Axiomhide fabric that feels soft to the touch. This product is also great for vinyl seats. 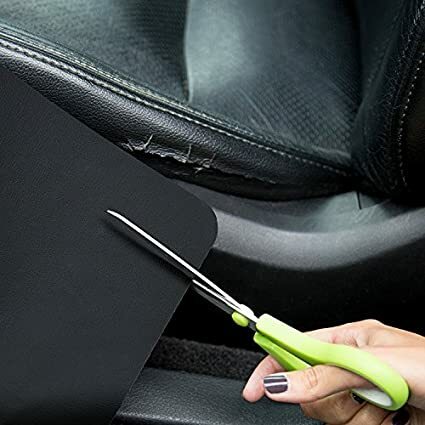 Using sharp scissors, carefully cut the Axiomhide fabric and make sure that is large enough to cover the damage in your leather seats. Carefully peel off the protective backing on the fabric and firmly adhere into place. You’re done! 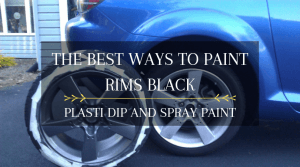 This product is available in a variety of colors (black, red, ivory, and dark brown) to match the color of your leather seats. 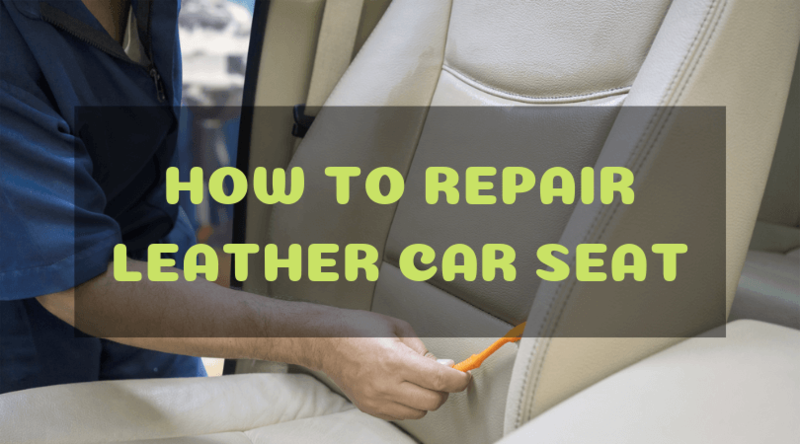 The methods on how to repair leather car seats discussed above are only good for small to moderate sized cuts and tears. 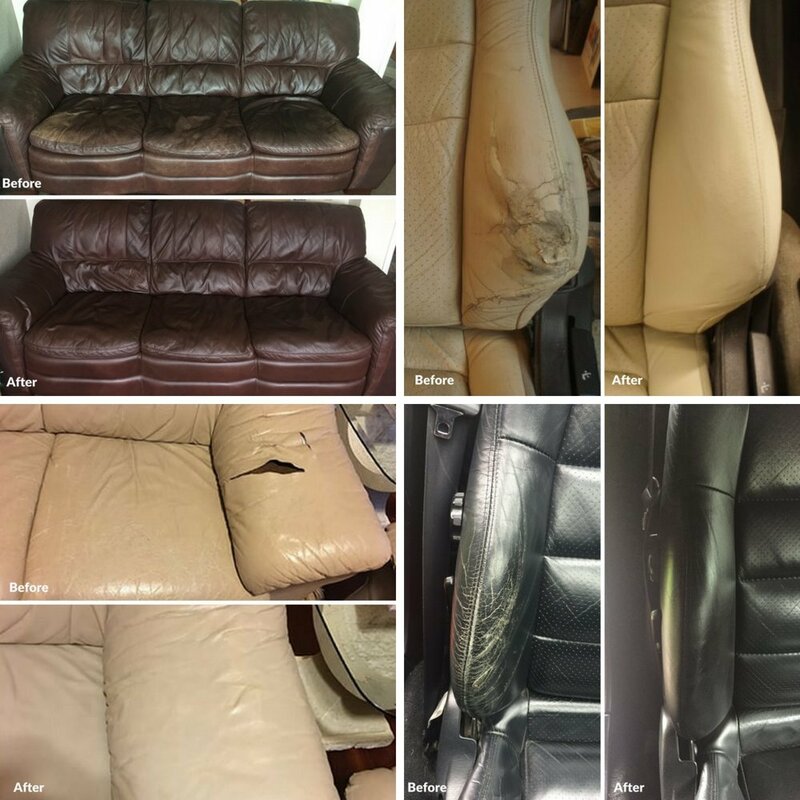 If the leather seats in your car are deteriorating into a faded mess, you will need to consult the services of a professional.